Ranking a website is no easy task; unfortunately, many sites have had all their hard work disappear overnight because of black-hat link building strategies or trying to ‘trick’ the system. There are also cases where startups have been duped to spend thousands of dollars to outrank their competitors, only for them to realize that the overnight success they were promised by the SEO Expert is not forthcoming. This article will help you avoid getting into such scenarios where your site’s reputation and ranking gets destroyed overnight, or you lose lots of money. This article should help you to find out if you they are doing a great job or they are hurting your future or current rankings. 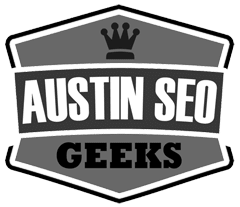 This blog article will explain how to recognize when the SEO Company is ruining your site, when they are actually helping you, and finally, what could be of help when you start working with an SEO company for the first time. What should you do while they optimize your site? Should you leave them to work as you wait for your site to bounce to the first page? Well, not at all. What you should be doing during the first few months of the contract if finding out what they are doing. That is the only way you will know whether they are helping or hurting your site’s ranking. The Following Are Some Of The Signs That Indicate The SEO Expert Are Not What They Claim To Be. They must be able to show what they have been doing each day on your site. They have to show you any links that point to your site or any page optimization that have done. The SEO Expert should have documented each change they made so far; otherwise, they could be doing something wrong. It takes about 3 to 4 months before you can see any significant or at least some change in rankings. Otherwise, if they promise you results any sooner than that, then you should be aware that they could be scammers. However, they should be able to show you what they are doing for what you are paying them. A detailed link profile analysis of your site. They will review of your closest niche-competitors’ sites. Any changes needed to optimize the site’s content. They will review of links linking to your site. Be wary if they are not asking for your help. They need your help to make any meaningful SEO progress on your site. Your site’s CMS administrative access. Administrative access to the Google analytics account. The usernames and passwords to the site’s social accounts. A list of all the keywords you are targeting. Any kind of SEO work that was previously done on your site. If you haven’t been asked for any of those details, then probably the SEO Expert is just adding back-links from a low quality blog networks. That can easily harm your site’s current and future rankings. Another bad sign is if you are not being asked to do anything specific; that means one of two things. They are either something unethical to your site or they are not doing anything at all. What most unethical SEO companies do is create low quality links to your site. Once they do that, they hope that your site will get some ranking. That sometimes does happen, but it’s short-lived. A great SEO Expert always works with you because they know Internet marketing is a long-term partnership not a one-off thing.